I found this pile of silver put aside for melting. It was sorted out because it had no 800 or higher numerical mark. So re-sell is difficult. Good for me, but sad to see that the new items are re-sold, while the old stuff is molten. I want your opinion on restoring. The items are from 1780 to 1870, with the majority from between 1840 and 1850. 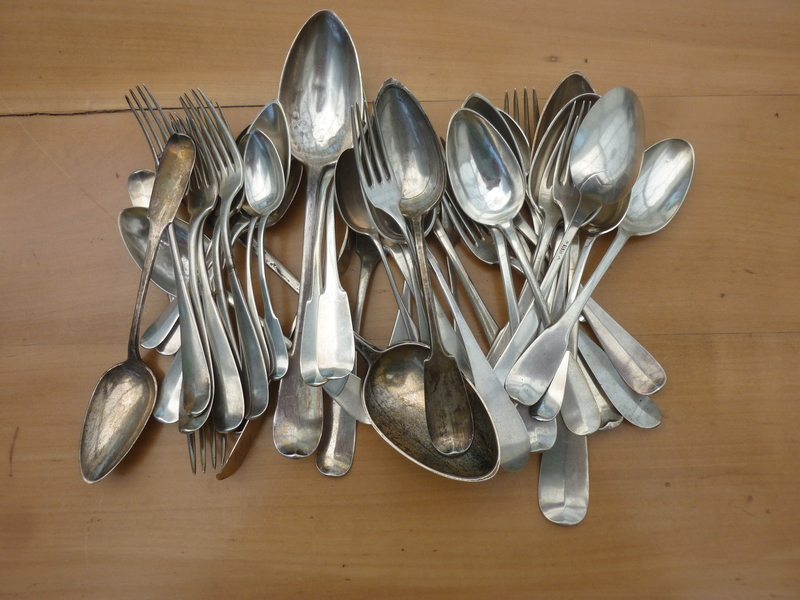 The spoon are simple to restore, just a few dents to remove. But some of the forks are worn down. 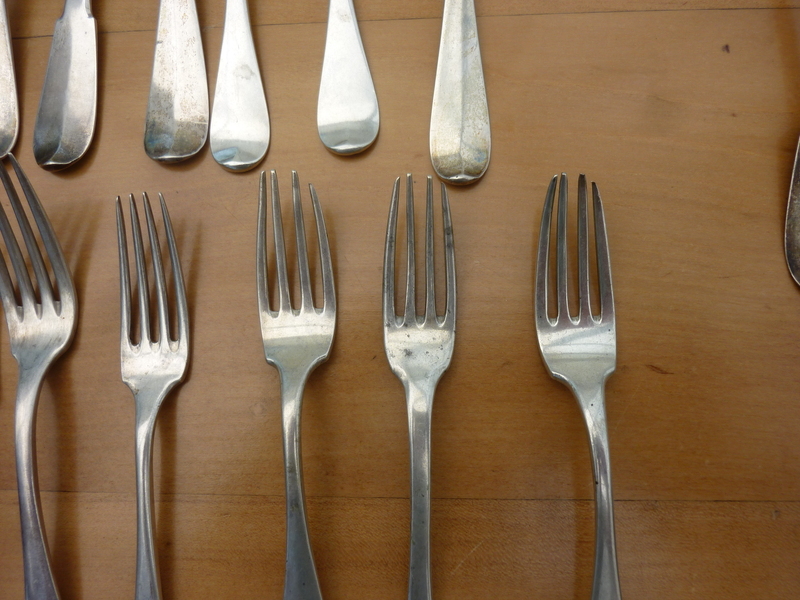 I could shorten the prongs of the forks and re-sharpen them. Works usually well, I have done this on 20th century forks before. 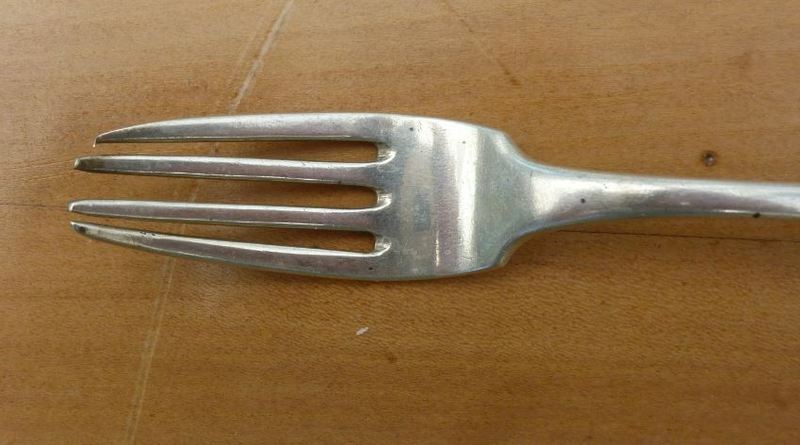 But how much sould be done on a fork from 1840? 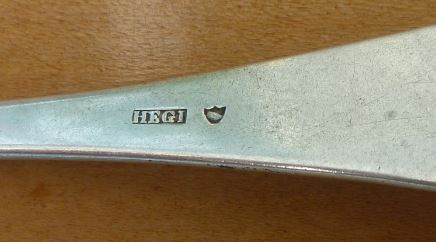 This example is a fork from Zurich, 1840, widow Hegi. If I leave it as is it ends up in the bin for melting. If I shorten the prongs I alter the design, but give it a second life. Is there an age limit after which an old item should be left as is? 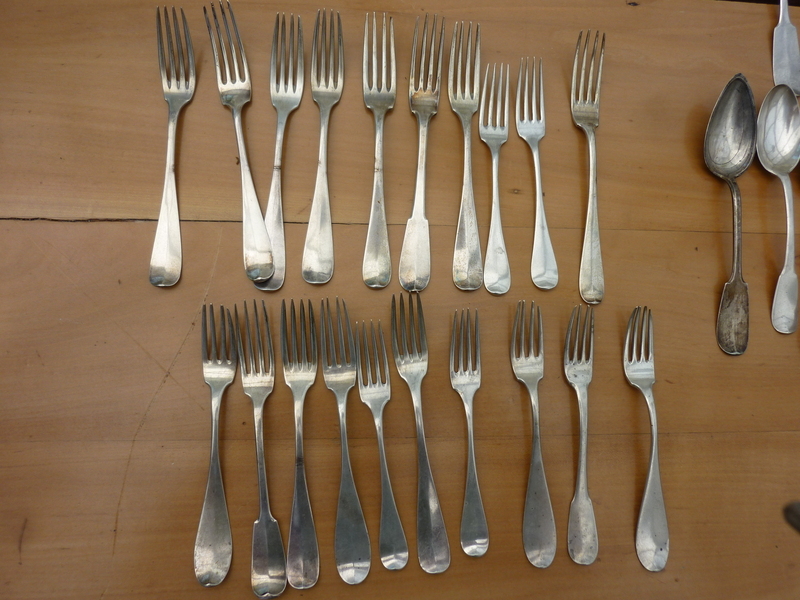 Re: How much restoring on 19th Century Silver? 1. If it is mass manufactured and worn it is scrap. 2. If it was hand forged and worn it has character, and worth saving. 3. If it is worth saving, keep it as original as possible. Straightening fork tines is certainly acceptable, shortening them would not be acceptable to most collectors. I would fix them us as well as possible without removing any metal and let the next owner decide what they wish to do. It is always easier to shorten them in the future than try to put back the metal filed off.